Make your own glow in the dark stepping stones! | DIY projects for everyone! 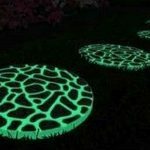 Home DIY Make your own glow in the dark stepping stones! Worried about tripping every time you walk through your dark garden pathway at night? Sure, solar lights make it easier to install lighting outdoors to solve your problem. 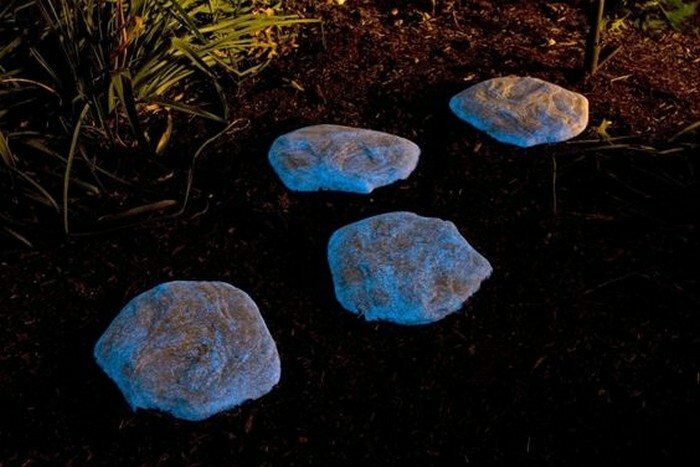 But here’s another idea that will also have your garden looking amazing: stepping stones that glow in the dark! Now there are many ways for you to go about this project. If you’ve got an existing stepping stone that you don’t want to replace just yet, you can simply use glow in the dark paint or spray paint. 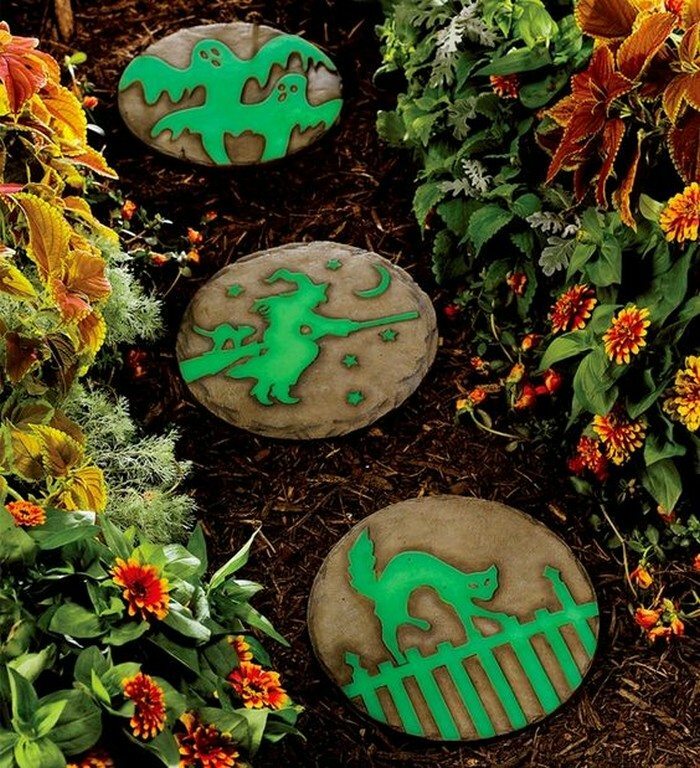 You can carve out designs on your stepping stones and apply the glow in the dark medium so that they pop out at night. You can also start from zero and make a DIY stepping stone. But this time you add glow in the dark powder in your concrete mix. When sourcing for powder, make sure it can be mixed with concrete. Those that contain earth illuminate seem to bring the best quality of glow. 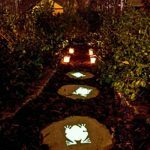 To give you more ideas for making your own glow in the dark stepping stones, we’ve collected some examples below! 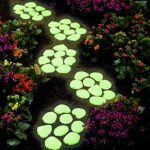 Do you need glowing stepping stones in your yard? Previous articleBuild a geodesic greenhouse! I want to make our garden look like the planet pandora at night ?